After Amanda and I had fun with our S’mores Week in August we decided to make a that we should do more posts together related to a theme. We thought about different themes we could do but the main thing that kept coming up was that we wanted it to be longer than a week. So things evolved to become sharing weekly drink recipes that can be boozy or non-alcoholic and that can match the season or holiday. The possiblites are endless! So we are kicking our Thirsty Thursdays posts today with fun recipes that we both wanted to share. I picked this apple pie cocktail and Amanda picked Honeycrisp Apple Sangria. Last year when my mom and I went to Utah to attend a crafting event we came back one night to the hotel and were discussing how we wanted to get a drink. We asked a group of guys, who were drinking in the lounge watching sports, were they got their beers. They were so nice that they just gave us a few. Well, we run up to our room with our prizes in hand and that is when I noticed that they were not twist tops. By this time I had actually put my pajamas on so I went back to downstairs to them in my pajamas (clearly, I have no shame) for them to open the bottles. They gave me a cup of Apple Pie Moonshine for us to try and I was hooked. Seriously the midwest is so nice. It was sweet, light, and packed a punch. 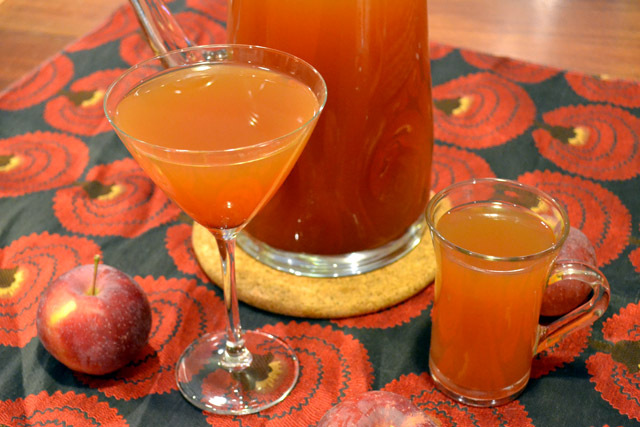 This is a great cocktail to make to celebrate fall. The original recipe calls for Everclear as it is a grain alcohol like moonshine but I was having trouble finding that in Massachusetts. So I switched to vodka and increased the amount. One of the biggest things is that I really suggest using cinnamon sticks. If you use ground cinnamon then you need to then remove it as it does not dissolve and it would be pretty intense to drink. 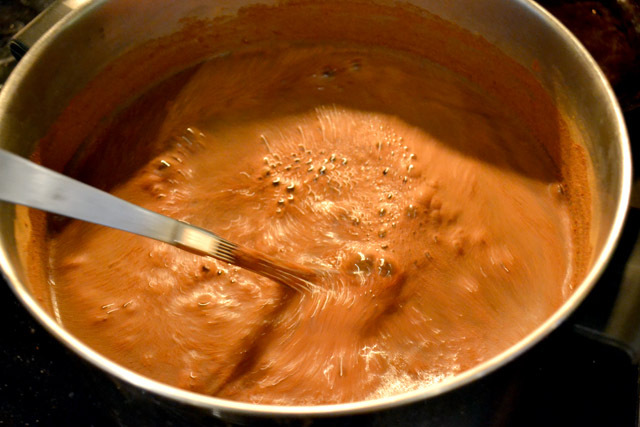 This is great both hot and cold so you can enjoy some just from the stove while the rest of the batch cools. Check out Amanda’s Honeycrisp Apple Sangria. 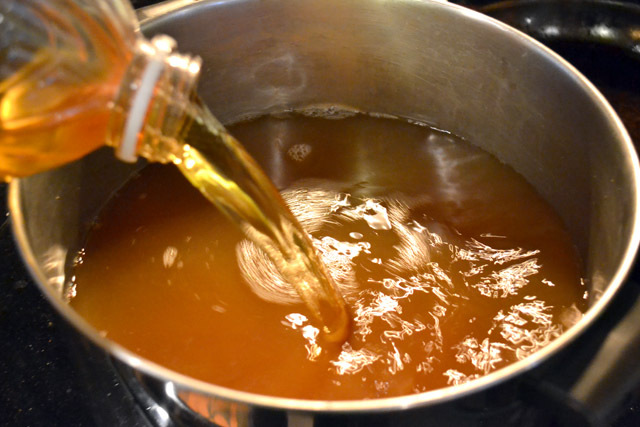 In a large pot, combine the cider, apple juice, sugars, cinnamon, and vanilla together. Cook together to dissolve the sugars and to warm. Remove from heat and the cinnamon sticks and vanilla.